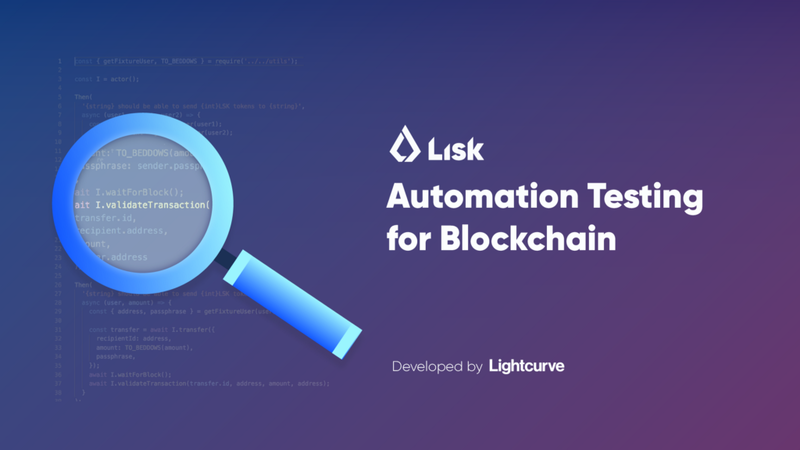 TL;DR: Today we discuss the importance of software testing in blockchain, outline benefits of automation testing and explain how to get involved in the Quality Assurance of our open source project. Many blockchain projects don’t survive long after hitting the initial production state. For most, lack of proper software testing is one of the main reasons for their demise. It’s estimated that over half a billion dollars worth of cryptocurrency has been lost due to bad code in the last year alone. You probably heard about The DAO’s code loophole, which allowed attackers to drain out 3.6 million ETH (worth $70 million at the time) from the Ethereum-based smart contract. Another notorious case was the Parity bug which resulted in over $150 million permanently frozen. Even Bitcoin itself is not immune to hacks. Late last year, a bug discovered in the code allowed malicious individuals to artificially inflate Bitcoin’s supply via double input. If the bug wasn’t quickly identified and addressed, it could have had catastrophic effects on the network. This is just the tip of the iceberg — there are plenty of smaller incidents caused by inexperienced or inattentive developers that don’t make the headlines. What does this tell us? In development, things can go wrong fast and the outcome can be ugly. This is why software testing is so important for any project utilizing blockchain technology, such as blockchain platforms, blockchain applications or blockchain-based services.